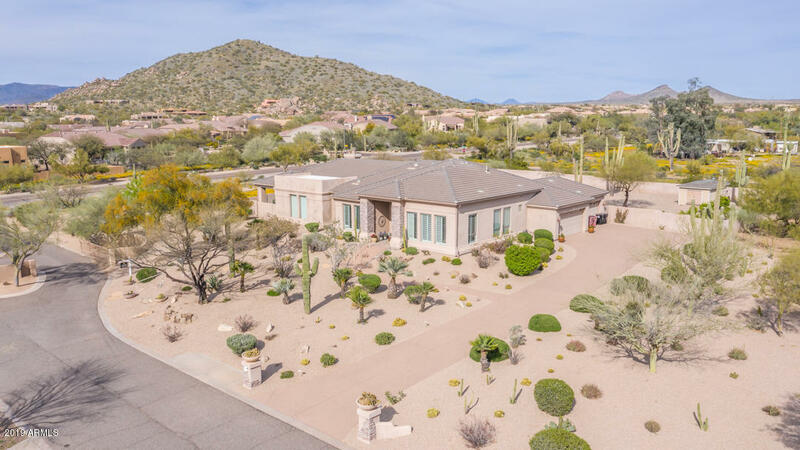 All PINNACLE PEAK PARADISE homes currently listed for sale in Scottsdale as of 04/23/2019 are shown below. You can change the search criteria at any time by pressing the 'Change Search' button below. "A spectacular home w/ immense grandeur at every turn. 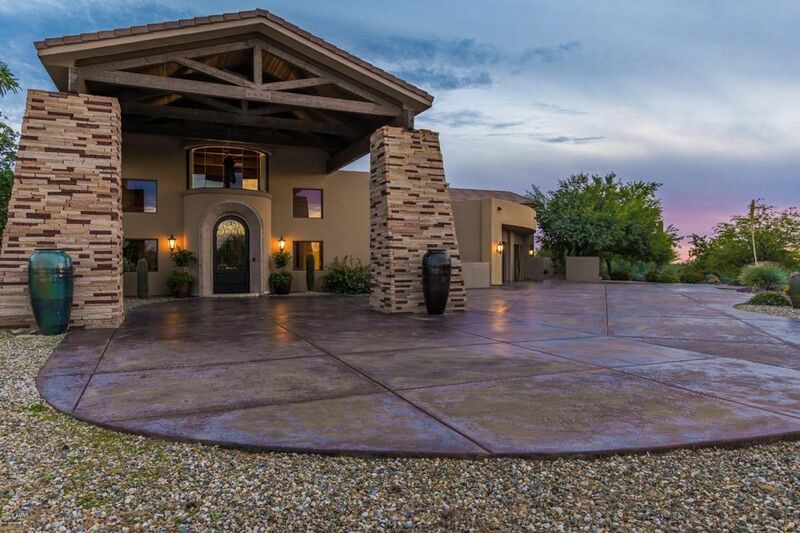 One-story with open rafter ceilings that reach 25 feet, ultra-wide living spaces & hallways ideal for Shaq O'neal. The great room is breathtaking from the front door through a glass wall & past an elaborately framed pool. A professional kitchen w/ Wolf appliances and Subzero fridge. Backyard complete w/ massive outdoor kitchen & fire-pots & a sport court. The 'literal' East wing has 4 extra-large bedrooms each with its own walk-in closet & ba"
"One of Scottsdale's Finest Equestrian Estates on 4.612 Acres, in a secluded and peaceful location with a winding private drive. The Territorial Style Custom Built Home features an Open Kitchen/Familyroom Floor Plan w/glass doors to Resort Style Covered Patio, built in BBQ & Pool w/Big Water Feature & Slide. 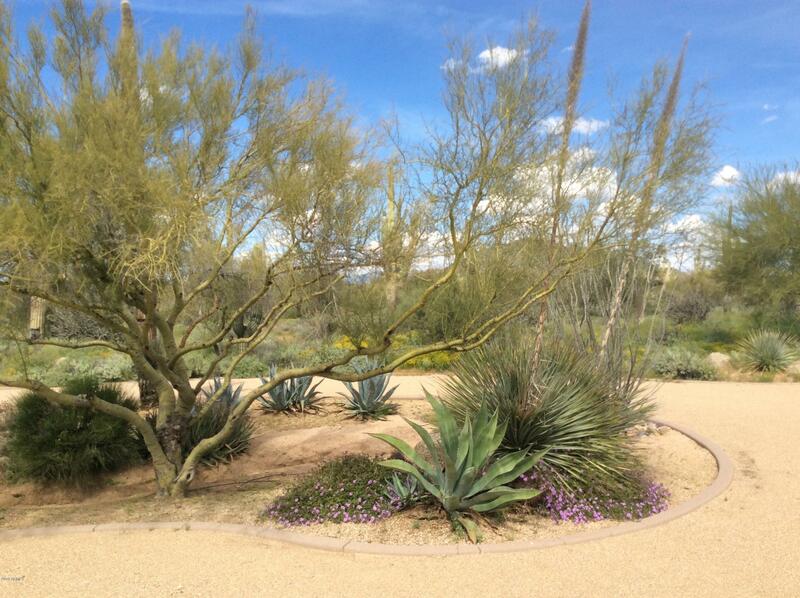 The Formal Dining Room overlooks the Lush Sonoran Desert. There is a room specifically designed for Entertaining w/Wet Bar. There are High Ceilings and Fantastic Vega & Latilla's throughout. " 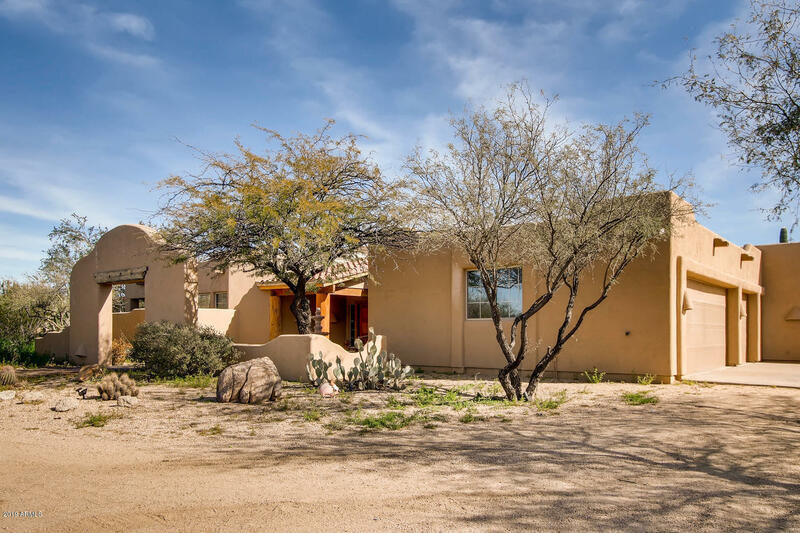 "Gross 5 Acre Horse Property in Prime North Scottsdale,with a GREAT OPPORTUNITY AS THE PROPERTY CAN BE SPLIT INTO 2 LOTS.Awsome Great Room which opens to the Kitchen and Large Formal Dining Room. Great Room has a Gas Fire Place surrounded by a wall of windows. Built in Entertainment Center with niches. Gormet Kitchen has Large Island with stove and vegetable sink. Double ovens, Pantry. Beautiful Pool with Spas. View Deck, Fire pit and Gazebo. Horse Arena with stalls. Ride off the property i"
"Highly Upgraded Custom Home set in private cul-de-sac Community. Curb Appeal, Gorgeous Mountain Views! Stunning in Design and Amenities, High End Finishes, Fabulous Formals, Soaring Ceilings and Beautiful Lighting; Family Room Spacious enough for Large Gatherings and still plenty of room at the Bar; Kitchen amenities Galore: Granite Counters, Sub-Zero Refrigerator, Dacor Double Oven and Gas Cooktop; Fireplaces in Family Room and Master Bedroom; Decorative Niches, Wood Window Shutters, Travertine"